The snow is officially done here in Ontario (I hope you are listening Mother Nature – we are officially done … please). 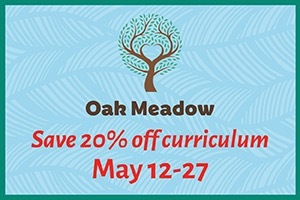 And this means it is time for some fun in the garden with my kids! Over the last few years I have really taken to vegetable gardening. 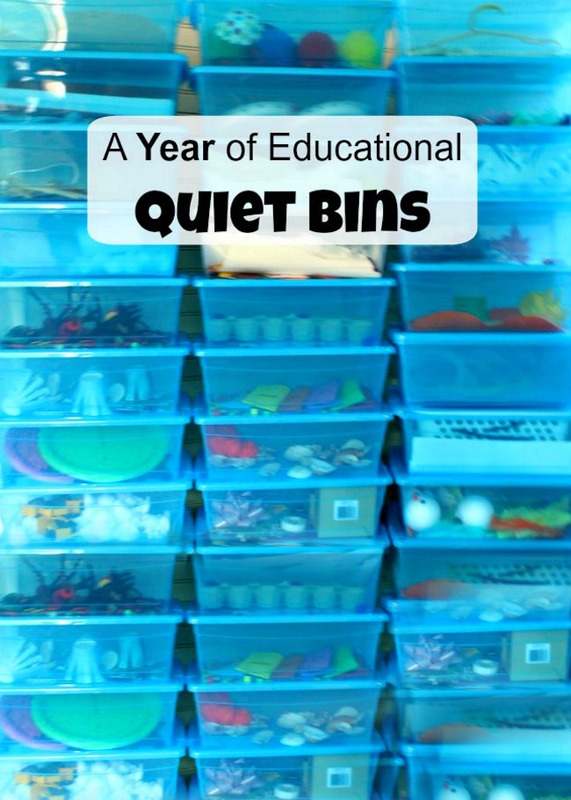 I am far, far, far from an expert in any way, but I am learning more and more every season. And I love it. I love growing healthy, nourishing food for my family. 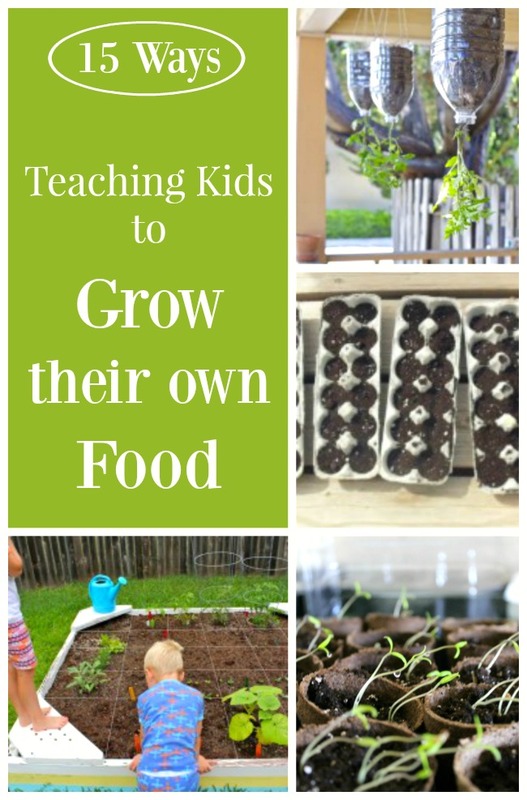 I love teaching my little ones to grow this food as well. 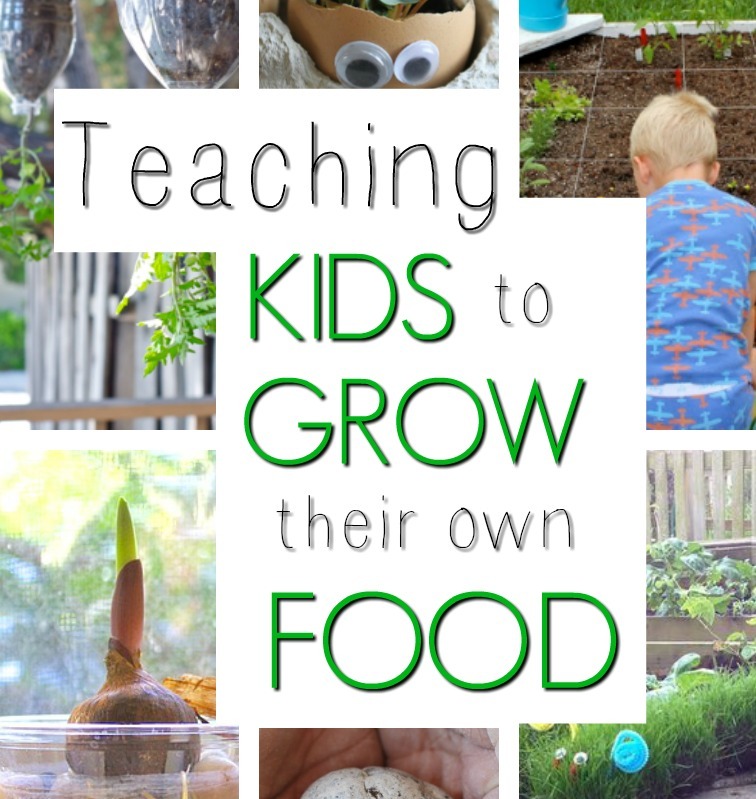 I had a lovely reader ask me about ways to get her little ones interested in gardening. 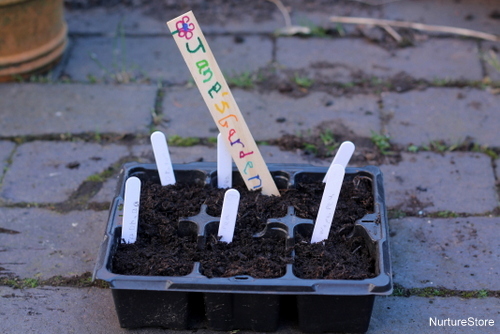 I have a few ideas about gardening with kids in this space, but with a whole internet full of ideas, I thought I would put together a post all about fun ways to get kids excited about gardening. 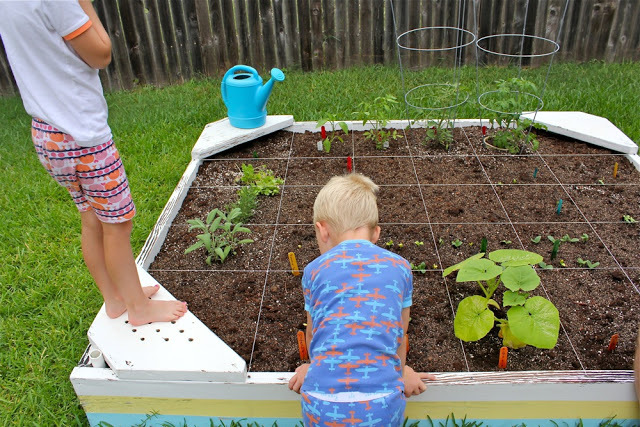 Sandbox to Planter Box from Made Everyday – Why not turn an old sandbox into a garden in the yard? The whole family can get in on the action together. 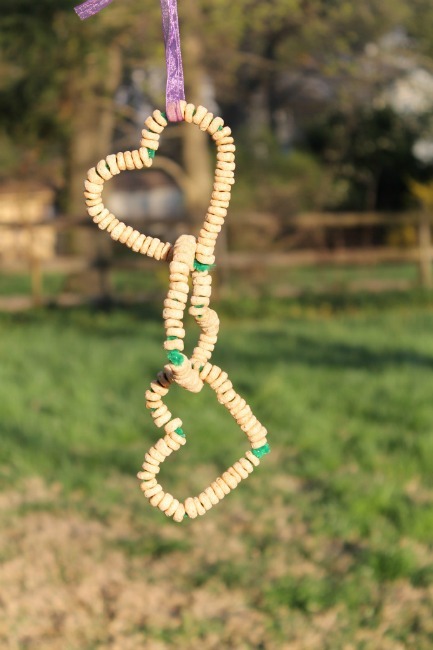 Cheerio Bird Feeder from 366 Days of Pinterest – So simple to make, and they’d look great hanging in the garden. 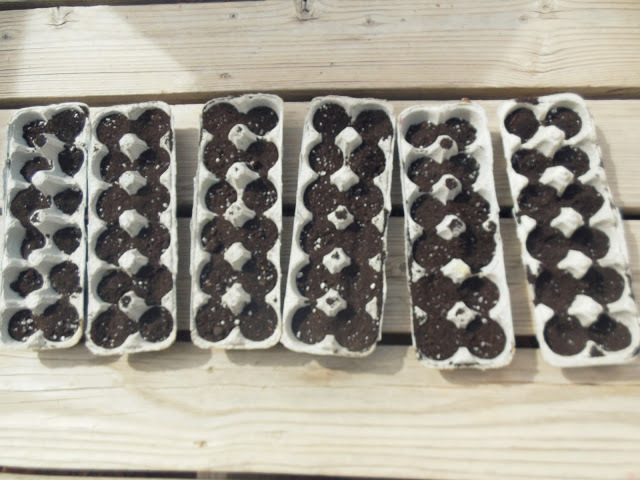 Egg Carton Greenhouses from Hazel and Company – Kids can make their own mini greenhouses as a way to start their garden. 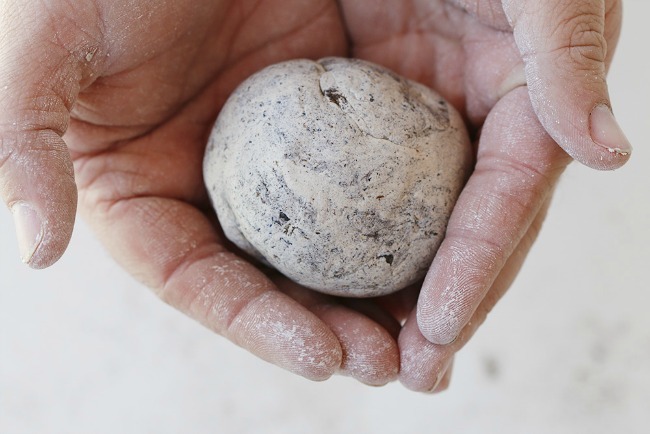 DIY Seed Bombs from Hello Nature – Grab a few ingredients and put together some “seed bombs” with the kids. Then it’s time to toss them around outside and see what grows. 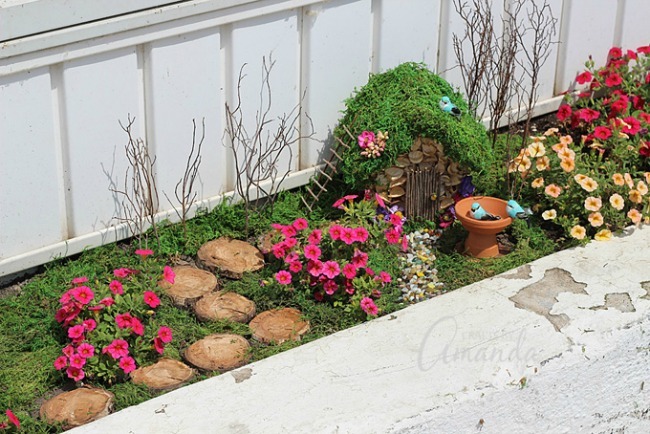 How to Start a Fairy Garden from Crafts By Amanda – Add some mystery to the family garden by encouraging the kids to put together a fairy house and such! 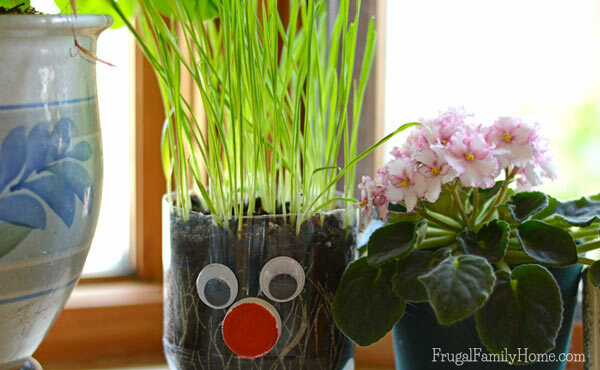 DIY Chia Pet from Frugal Family Home – A silly way for children to get into gardening! 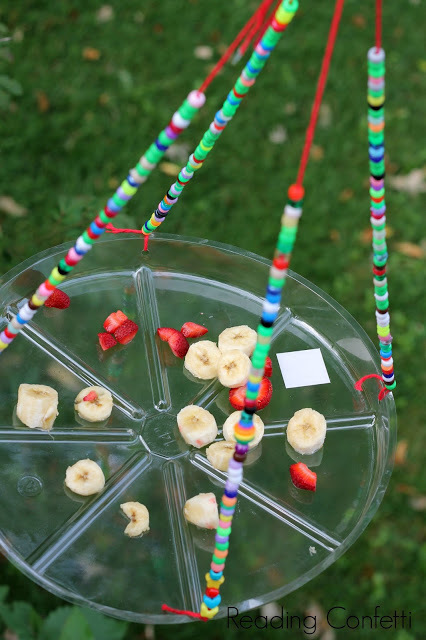 Easy Butterfly Feeder from Reading Confetti – What a pretty combination of a craft and an insect feeder for the garden! Sensory Gardening with Children from Little Wonders’ Days – Create and build a garden with the kids that appeals to each of the senses. 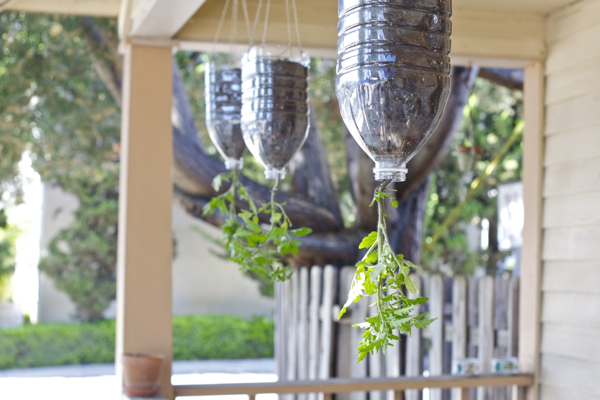 Inverted Hanging Tomato Planters from Bonzai Aphrodite – If there isn’t a lot of room for a garden at your place, try making these to hang on the porch. 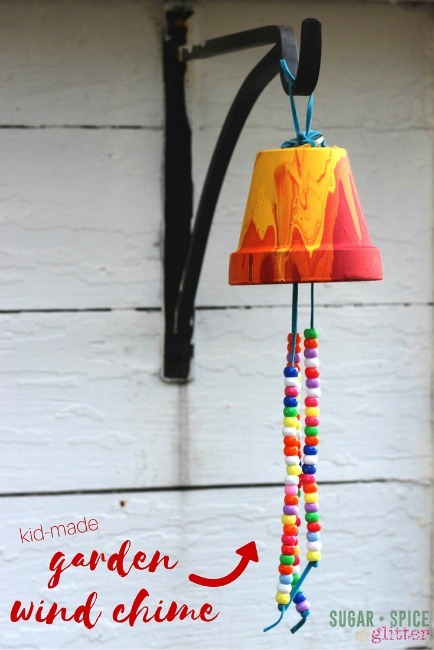 Garden Wind Chimes from Sugar Spice and Glitter – Part art, part craft, and all beautiful! This will surely look gorgeous hanging in the garden. 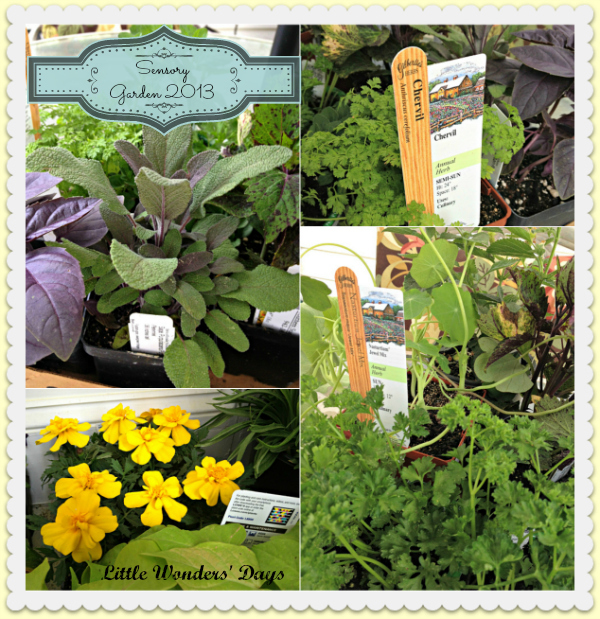 Kids Picking Garden from Curly Birds – Let the kids help choose and plant edible plants in a garden patch. They can take care of it and harvest things to eat. Radish Top Egg Heads from Mama. Papa. 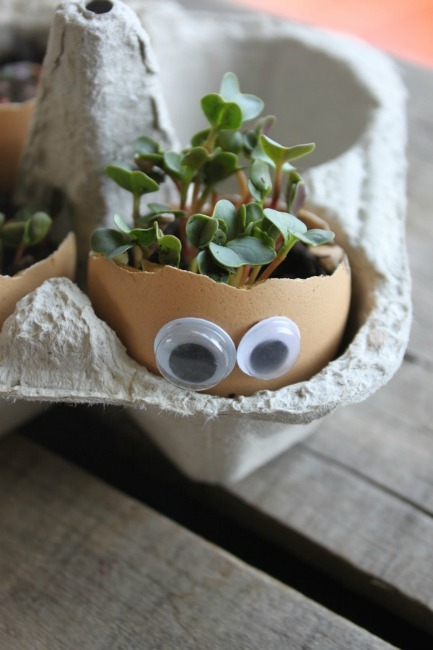 Bubba – What a fun way to learn about the planting and growing process using eggshells, dirt, and seeds. The googly eyes make it even more entertaining! 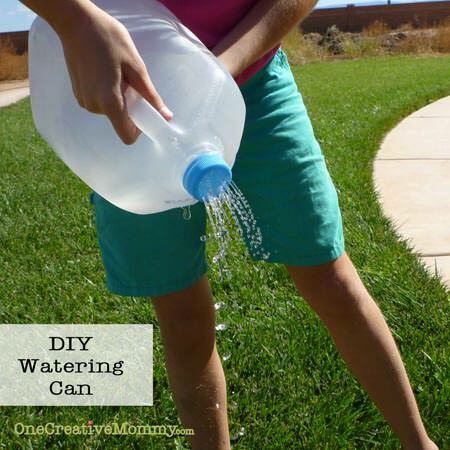 Watering Can from a Milk Jug from One Creative Mommy – Help the children create their own watering cans. 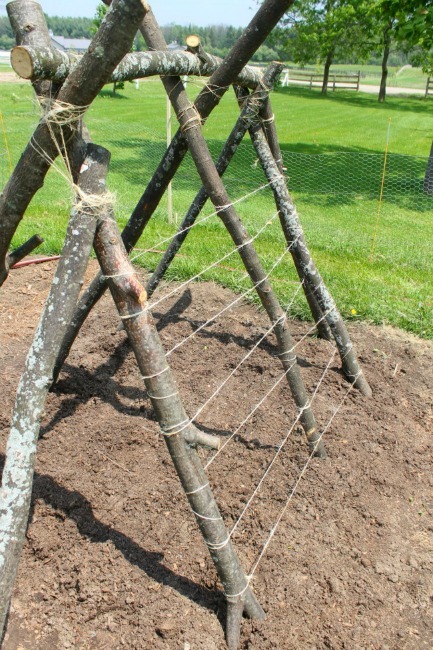 Then let them loose in the garden to take care of the plants. 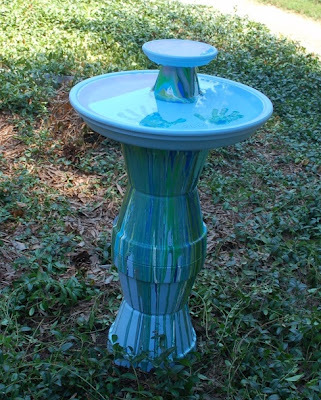 Homemade Flower Pot Bird Bath from In Lieu of Preschool – Wow, what an awesome project for the whole family! I love the technique they used, as well as the addition of hand prints. How to Make Garden Markers By Painting Stones from Adventure in a Box – Everyone can get in the fun with this garden craft! 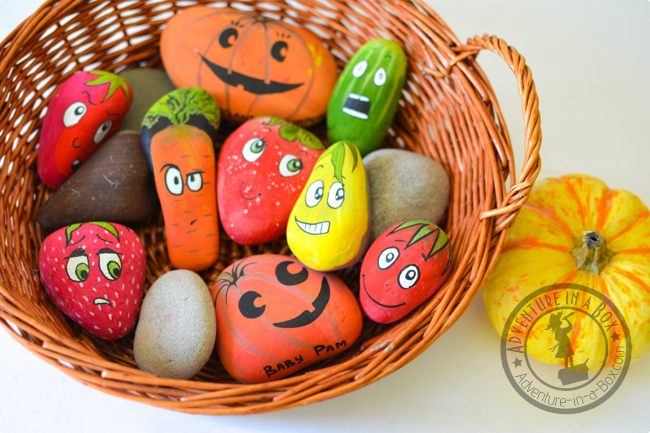 Collect and paint rocks, then use them as garden markers with your plants. 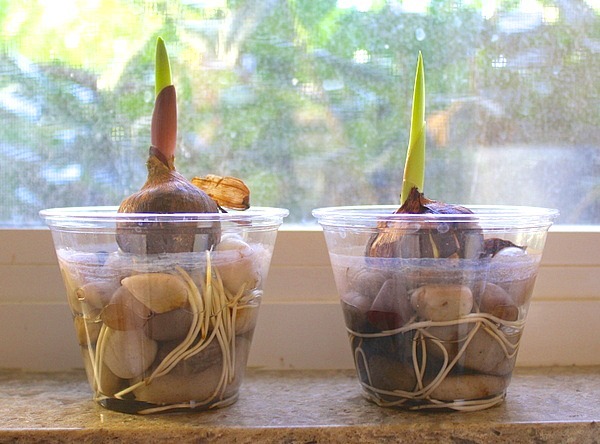 Observe Plant Growth Using Bulbs from Buggy and Buddy – Kids can observe the growing process with bulbs, and then they can record their findings along the way. 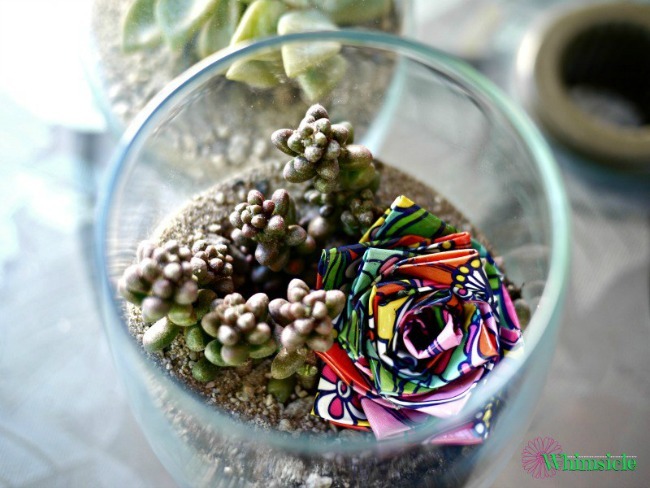 Kid-Made Terrariums from Whimsicle – Children can put these mini gardens together for their rooms or even as gifts. 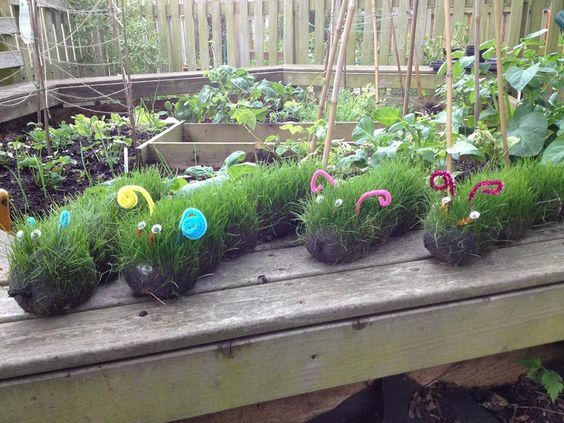 Grass Caterpillars from Red Ted Art – Fun and kooky garden activity to try with the kids. These caterpillars would be great in the garden or even on the back deck. 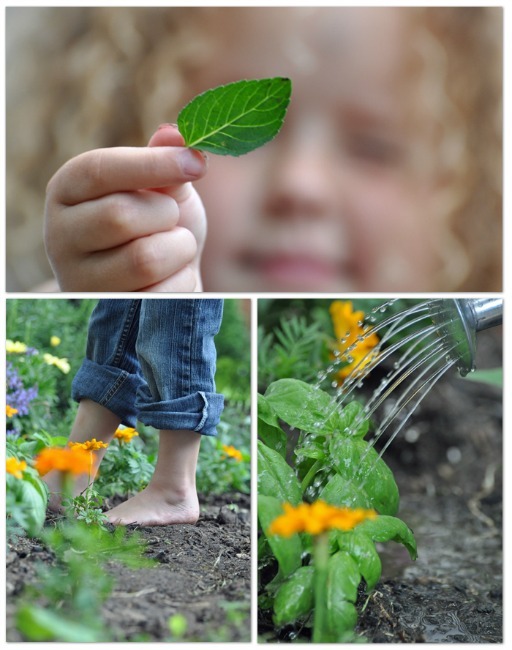 Easy Plants to Grow with Children from NurtureStore – When planning a garden with children, be sure to check out this list of plants that kids can grow easily. 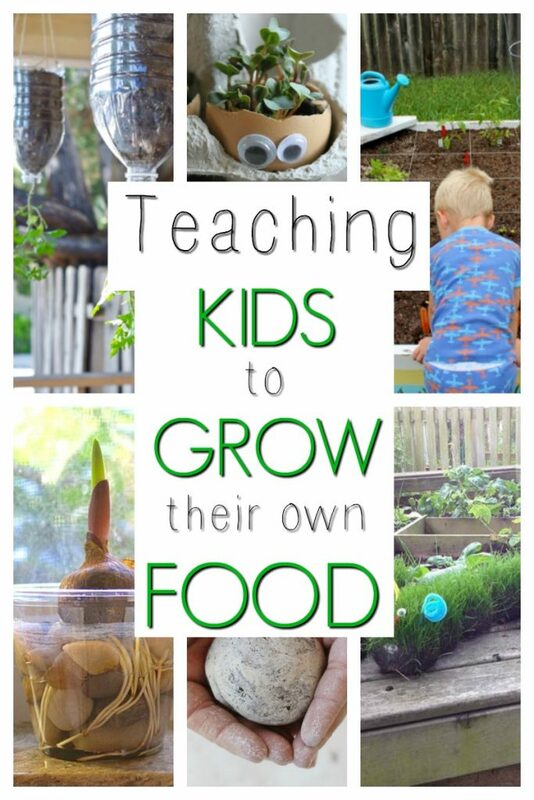 I hope this gives you a little inspiration to help your little ones get outside and into the garden. Having little ones connect with nature is so important. 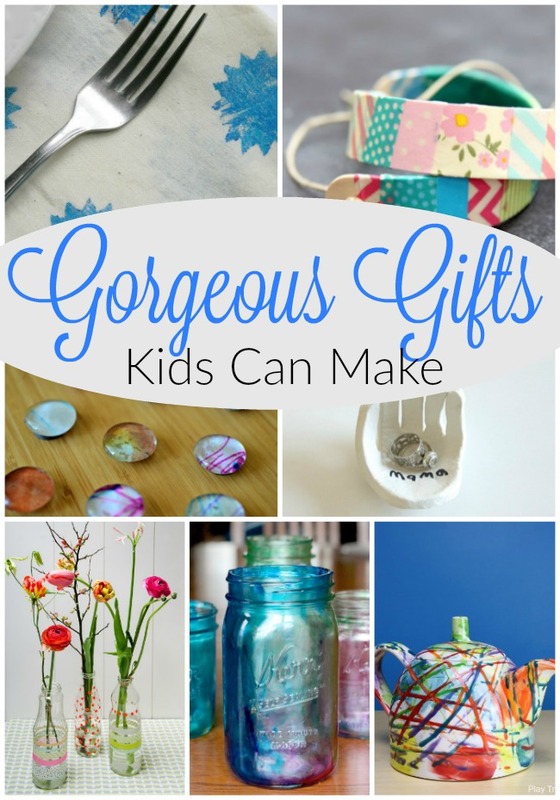 I love that one too – thanks for commenting! Thank you so much for including my daughter’s garden wind chimes 🙂 We are actually building a giant garden pot fountain today for my mom’s birthday (the wind chimes were last year’s birthday). I cannot get over those grass caterpillars – LOVE! So sweet! Thanks for visiting!